The call was made today by Samoa’s Prime Minister when he addressed the delegates of the African- Caribbean-Pacific (ACP) – European Union (EU) High Level Political Dialogue on the Post- Cotonou Agreement negotiations currently underway at the Taumeasina Island Resort. This is the first political round of consultation between the parties and Tuilaepa believes with the presence of the EU Commissioner, His Excellency Neven Mimica, provides an excellent opportunity to exchange views and reach an understanding on the general direction they should traverse together with the Post Cotonou agreement. 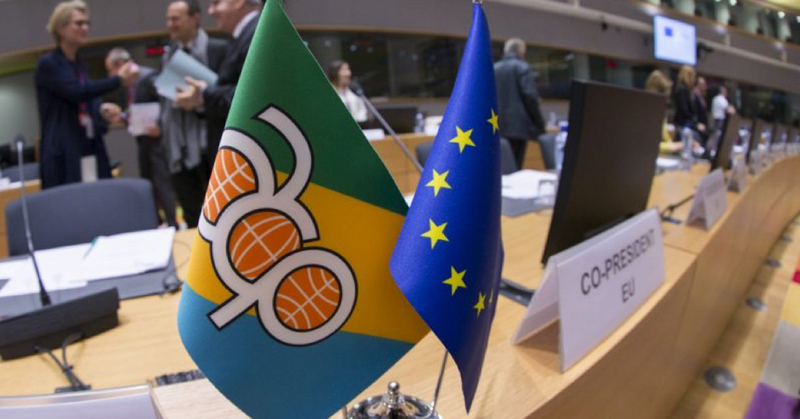 “ The recent development within the EU has manifested in the introduction of the multi annual financial framework as well as the approval of its negotiating directly amongst others, give a fair indication of EU’s thinking on its future relations with the ACP group and by extension, the Pacific ACP countries,” said Tuilaepa. The Cotonou Agreement was the instrument that channelled economic assistance to countries of Africa, the Carribean and the Pacific from the European Union for the last 20 years and a new agreement should take effect in 2020. However, the EU had attempted to split up the regions in future dealings with the EU and the Pacific had made it known that it was standing together as a region in negotiations for the new agreement. “There is much that binds rather than separate us; the need to keep and broaden the engagement of the Pacific with Europe, should be seen as a logical progression into our future relations,” said Tuilaepa. “I am certain that our frank and fruitful exchange will steer the process in the right direction,” he said. He also believes the EU assistance to the Pacific region continues to be a key and pivotal aspect in the sustainable development of the region since the last 44 years and will remain so into the future. “Our region, the Blue Pacific continent has distinct features and characteristics that sets it apart from other regions of the ACP group, and this diversity defines this special relationship with EU,” said Tuilaepa. The ocean separates and unites the Pacific with EU, and the Pacific have been in the frontline of some of the most pressing and urgent challenges such as climate change. He said in the past, the consultations between the two partners was mainly focus on related matters such as the implementation issues which were seen as perennial problems. In recent years and in the context of the Cotonou Agreement, trade and political dimension of relationship have been added on with trade dominating the consultation table. “While seen as an evolving extension of development between the two groups, now is an opportune moment to take stock, review and seriously explore how Pacific – EU relations might progress and elevated to the next level,” said Tuilapea. The conference is attended by various regional organisations such as the Pacific Community and the Pacific Forum Secretariat.